FISHING CONTEST, WIN Prices With Real Dollar Values! - KABALYERO - PLAY, BLOG & EARN! Home / fetid water fishing / fetid water fishing skill / fishing / fishing contest / fishing game / fishing level / fishing skill / real dollar values / real money trading / shroud of the avatar / win prizes / FISHING CONTEST, WIN Prices With Real Dollar Values! FISHING CONTEST, WIN Prices With Real Dollar Values! Fishing Contest where you can win prices or items with Real Dollar Values is happening this Friday at 4PM. 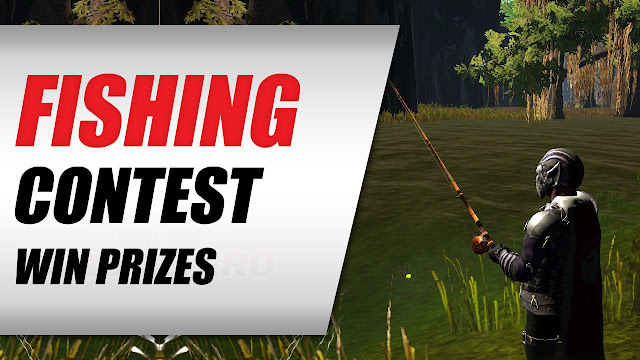 If you happen to catch a really big fish, or in this case, a really long fish in the #FishingContest and won a prize item but don't want to use the prize item in the game then you can either sell it for game gold, COTOs or Real Money. Selling items for #RealMoney or Real Cash is possible because #RealMoneyTrading is allowed by the developers of the game but you can only do it in the official forum of the game.